Celebrating women of all ages as they pursue their dreams and passions. Home » Momma Quit Her Day Job » Momma Quit Her Day Job: Almost 5 years ago!! Momma Quit Her Day Job: Almost 5 years ago!! I've been excited yet nervous to share my latest venture with all of you! (If you are unfamiliar with my last two updates, you can check out the first one here, and the second one here.) It's one of those things that once you put it out there, there's no turning back! I'm nervous because there are no guarantees, but I am excited because I really believe in what I'm doing. Well, it wasn't really a rejection letter but I didn't get the job. In hindsight, the job itself doesn't really matter, but it was what that rejection led me to do that does. I decided that I didn't really know much about online marketing (a lot has changed in the five years since I left Microsoft, plus I was always in sales executing someone else's marketing plan!) As a result, I signed up for B-School which is an online business program by Marie Forleo. 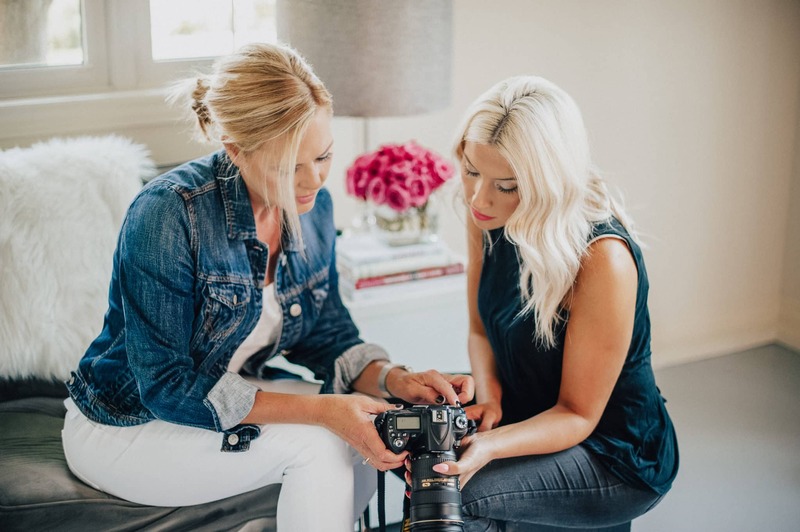 I didn't really have an end goal in mind when I signed up, I just knew that I'd learn something and I knew it would benefit my photography business. At the same time, I was teaching my photography class here in the hood. In case you don't know me, I've been teaching a beginner photography class since 2011. It all started when I asked my best girlfriends if they'd be willing to donate to my Team in Training fundraising account in exchange for a camera class. They overwhelmingly said "yes!" and thus my love of teaching began. This year's class sparked something in me. They were enthusiastic, excited to learn, and literally gave high fives when they had a breakthrough. It was so much fun to watch. One of my students said something that really stuck with me. They said "you have such an ability to explain a really complex subject and break it down into something that's so easy to understand." What a compliment! After that class, I started to think that I'd like to teach more. I was toying around with a lot of ideas. Teaching my class at the library (no bueno...you can't do for profit classes there,) teaching AP photography (then I found out it was a part of 2D Art...THAT'S not going to happen,) or continuing as-is but adding more classes. Not everyone can attend on Thursday nights when I'd been the classes. Inevitably, something would come up on Thursday and they'd miss 1 or more lessons. Even the students who never missed a class could use a refresher now and then. Especially if it's been weeks or months since they took the it. I am a learner. If I could take a class every week, I would. I was poking around through the resources section of B-School and realized that I could teach online too! In fact, there are many affordable platforms out there to get started quickly and very professionally. I began to really think about this and realized that I have a proven product (I have taught, rewritten, and revised for 7 years!) I have students who loved the class (many of whom are now amazing photographers because they continued to study, practice, and grow.) The curriculum is written. I have the equipment and know-how to record and edit my own videos. I just took a very thorough online marketing course...certainly I can figure that part out (right?) The actual cash money cost is very low. So all I would be out is my time. When I teach, I always say things like, "get out your big girl camera," or if I see someone out taking pictures with their iPhone I say, "hey, where's your big girl camera?" When thinking about naming my class, I wanted something memorable and something that felt like me. "Learn to Use Your Big Girl Camera" was a natural fit. The Big Girl School leaves the option open to add more classes down the road continuing to use the Big Girl moniker. I decided that taking my class online was a viable option. I would be able to serve more people (women specifically but not exclusively!) Presently, I'm able to teach 10-15 people once or twice a year. With an online photography class, I can teach that many each month or even more. And bonus, my dining room chairs won't be in the basement for months at a time. Much of what I teach can be found in bits and pieces online. However, when you don't know what to look for, it can be very overwhelming. I'll teach only what you need to know to get up and running quickly. Most importantly, I will give you assignments to begin USING your Big Girl Camera. How can you help a big girl out? Has a Big Girl Camera and tried it once, got frustrated and threw it in a drawer. Uses a Big Girl Camera but wants to learn how to take it off of Auto. I hope to have the first class "Learn to Use Your Big Girl Camera," a 3-week beginner online photography class, launched sometime in September. In the meantime, you can sign up for my newsletter and be the first to know here. Join the private Facebook community here. In the community I will be answering questions and looking for student photos to share. Each week on Instagram we will post ideas to get you out shooting! Sometimes, an idea is all it takes. If you are in the market for a camera, I wrote a FREE course, "Which Camera Should I Buy?" which includes a 20-minute video explaining the key features you need to know when purchasing an entry level DSLR, and a downloadable resource guide, and camera comparison chart to help you stay sane when shopping. You can take the FREE course here. Thank you so much for the love and support you all have shown me! !